What is Rats? How to Get Rid of Rats ? Pest Control Rats Gurgaon ! Rats are typically distinguished from mice by their size. Generally, when someone discovers a large muroid rodent, its common name includes the term rat, while if it is smaller, the name includes the term mouse. The muroid family is broad and complex, and the common terms rat and mouse are not taxonomically specific. Scientifically, the terms are not confined to members of the Rattus and Mus genera, for example, the pack rat and cotton mouse. There're a number of evidence to determine whether your place has got haunted by the rats. If you have found large holes in walls and floors, bite marks in the food items, dirt or bad footmarks, damaged wooden and plastic material and live rats are roaming, there's a high possibility of rats invasion. Rats like more to dwell in our room where they can get enough food and good shelter. If you provide all of these, it is absolutely not wrong to say they are the non-paying guest of your house. 1. Kill the rat by immersing it into hot water. 2. Catch it in the rat trapper by placing a piece of cheese or fish. 3. Using of Rat cakes that kills rats. 4. Onion, Pepper, Moth balls and other substances can be useful to prevent and kill rats. In case, you spot the movement of a large number of rats in your house, the cited preventive measures will be of no helpful. In such critical situations, Pest Control Rats Gurgaon comes to your rescue by providing latest technology incorporated treatment to make you and your house free of Rat tension. How to find right person to solve your Pest problem in Gurgaon? In Gurgaon, the Best Pest Control in Gurgaon, is the authorized firm with 20+ Year experienced professional experts who are capable of helping you to get rid of all pest problems including Rat, Moth, Spider, Termite, Cockroach, Ant, Bedbug etc. How do you find the Rats Nest and solution in Gurgaon? Rats leave dirt, waste and grease in their paths. They are also capable of chewing through wood and concrete. Rat holes are both unsightly and dangerous; not only do they allow entry to a variety of other pests, but they also can lead to short-circuit fires if the rats gnaw on electrical wires.. Locating rat holes may prove more difficult than expected. Holes should be sought with particular attention to locations where bricks, wood or tile may have rotted. Rat holes may exist between floorboards or in unlikely places, such as closets. Cluttered areas tend to attract rodents, as well as places surrounding water pipes. Rats may also use gas pipe entry holes behind stoves. Sealing all possible entry points will reduce the chance a rat infestation will take place within your home. In the event of an existing rat population, plugging holes caused by these rodents may be one step in an effective extermination plan. Holes should be sealed with concrete or metal. If you discover evidence of a rat, you should contact your local pest control professional to help create a custom plan for treating rats. What are the problems of rats? When you see Rats in your home they can be a real problem. They are commensally creatures that like to be near human to have a steady supply of food. Sometimes setting up a trap is an effective method of rat control but a larger infestation can be a real problem. Rats are intelligent and learn to avoid the traps. Rats cause a lot of damage. As the teeth of rodents continue to grow over their lifetime, they need to gnaw on hard substances such as lead and plastic pipes, insulation material and electric wiring. This habit increases the risk of short circuits and fires. In addition to this, they transmit a number of dangerous diseases such as Salmonella, Leptospirosis (Weil's disease), Tuberculosis and even tape worms. Rats cause a lot of contamination. One single rat equals more than 25000 droppings per year, which contain allergens that can cause acute allergic reactions. Rats introduce secondary pests. Rats are also known to introduce other pests, such as fleas, mites and ticks into the premise, causing additional damage. Rats are also known to damage the physical location they have infested like your home. They chew on electrical lines and wires which pose a huge fire risk to you and your family and chew through siding and other building materials. They create holes in food or food containers and gnaw on anything they can find. This damages the food because they contaminate it with their droppings, hair, or urine. Getting rid of rats as soon as possible is your best interest Rats Control because there are many different types of diseases they can spread to human beings. Proceed with caution when cleaning up after a rat infestation. Fleas and mosquitoes that are attracted to rats can also bring diseases indirectly to you, your pets, and your children. It is also dangerous to stir up the dust in their nest and breathe in the bacteria in it. It has been known to cause allergic reactions and leads to asthma especially with young children. Scratching noises in walls or under the floor as rats scurry around. Droppings rats leave dark, tapered droppings about 10-14mm long. Distinctive smell rats leave an ammonia-like smell that will be particularly strong in enclosed areas such as under cupboards. Bite marks rats have teeth that grow continuously and gnaw on wood and plastic to keep them trim. Rats can even cause fires by chewing through cables. Ripped food packaging rats will tear open food which may leave teeth marks. Nests rats build nests in warm, hidden places using shredded material such as newspaper and fabrics. Nests will often contain young rats. Smears - build-up of dirt and grease from the rat's fur, commonly on walls and surfaces where rats commute. What Can I Do to Prevent Rat Infestations? We must implement Preventive methods at the very soonest in order to maintain a rodent-free or rat-free home. Rats reproduce rapidly and small populations become full-blown infestations in very little time. Do always Keep any possible food sources away from rodents. Small crumbs and garbage are the main sources of rat infestations. The food containers or storage must be kept in sealed metal to prevent contamination. Fruits and vegetables should also be stored properly, and resulting waste should never be left in sinks or scattered in random places. Cardboard objects are attractive to rodents, as they tend to chew them up for use in their nests. Rodents are capable of squeezing through spaces that appear to be quite small for them. All such holes should be sealed to prevent entry and re-entry of rodents. If the rat infestation is at large, an effective, cheap and quick solutions are required in order to control rats. 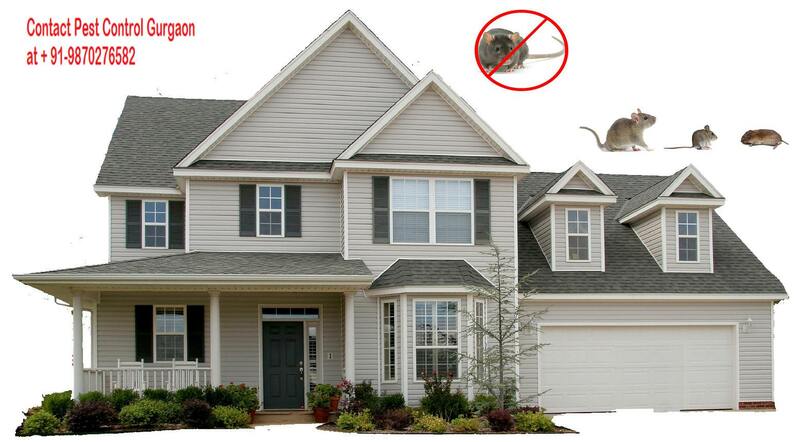 Here, Pest control Gurgaon comes to your rescue so that you can keep a rodents free home. Pest Control Contact Number Gurgaon: Dial +91-9870276582 for enquiry. How Pest Control Gurgaon control the Rats ? Rodents are commonly found pests in households. In context to the Indian scenario, among all rodents, rats cause the most damage to food items and household property. The nature of Rat Pest Control Services, which would be most suitable for your home, depends on the extent of infestation. Smaller number of rats can be effectively controlled with traps, while a larger infestation requires a combination of both traps and baits to be completely effective. Pest Control in Gurugram provides inspection to analyze the nature and extent of infestation. Call today to take the first step towards a rat household. Call us at +91-9870276582 or Contact Pest Control Gurugram Haryana online to get rid of rats. Rats and rodents have been responsible for the spread of some of the worst plagues in the world. The examples include the deadly bubonic plague, leptospirosis, lassa fever, and more. Since rats mark their territories in various ways, it takes expert Rat Pest Control Services to root out the problem completely. Which is the best rat extermination company in Gurgaon, Haryana? There are rat extermination companies available who have experience with removing rats which can be a very difficult task. This includes identifying their feeding places, nesting areas, and knowing it will work when it comes to exterminating them from your location. Cleanup is also performed by a rat exterminator ensuring that your family and pets are safe from future infestations. 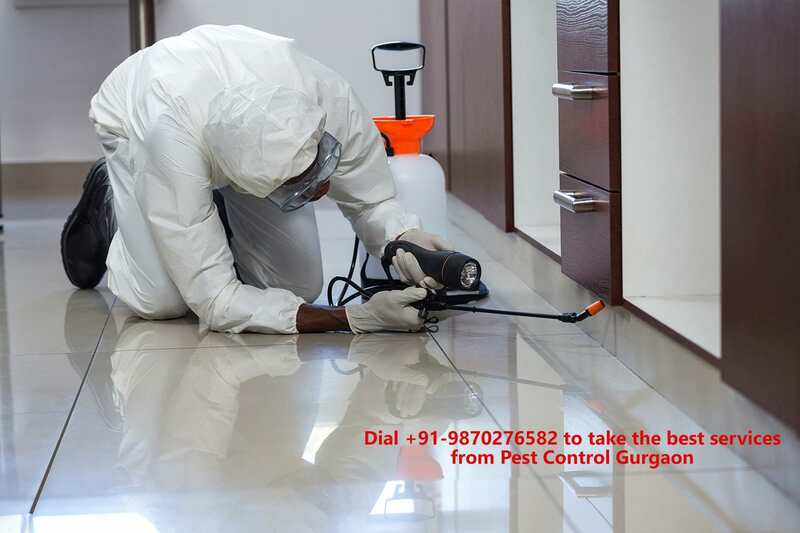 So all you need to do is to call on +91-9870276582 and Pest Control in Gurgaon will be there to help you as soon as possible with the best services.